Rated 5 out of 5 by TheBabs from LOVE IT Best bubble shooter game ever, love it! Please make new levels!!!! Rated 5 out of 5 by texasgmaof2 from We want another one! I downloaded this game for my husband, but it took him awhile to sit down and play it. So I started playing first. I love this game. The object is to get through the maze of bubbles by popping 3 or more of the same color. There are three stars that you are trying to collect in order to accumulate the most amount of coins. There is also a key that you have to be careful to not knock down until all stars are collected. As you progress through the game there are of course different types of obstacles and penalty bubbles. 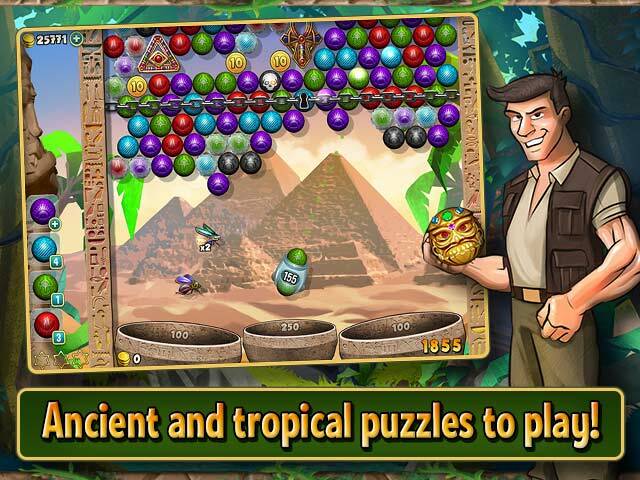 It has so many different levels and the marbles change in texture on many of the levels. There are still 3 landings I haven't been able to conquer. One I haven't even seen the stars yet. I repeated it so many times I finally just took the key so I could move on. In between some of the landings there are challenge games so you can earn some extra bubbles of different colors and powers that you will need. I think there could be better instructions in the beginning. There were times I was getting super powers and didn't know exactly how to use them. The rainbow bubbles threw me for the longest. Also accessing the accumulated bubbles I had was confusing at first as one time you click and it says you have to buy them, but then you win some and these don't cost you anything. I think points or coins could have been given a little more generously. I also think when you buy a power you should be able to use it until you pass that level. I did not figure out that I could go back just by grabbing the islands and dragging them to where I wanted to go. Again no instructions. My husband started playing finally and he was hooked. He's always playing bubble games on his phone, but we wanted something on a bigger screen. So despite some of the problems in the beginning it was a great game! I thought the graphics were beautiful, the music was eh, but I usually turn down the music on many of the games I play. I would like to see another one of these games and soon! Rated 5 out of 5 by Kimmycoo from Beat It! I loved this game. It was totally addictive. I hate to see it end. Perhaps they will create a 4th Island to explore in the future? I never paid anything into the game. I just saved up power ups earned in the bonus rooms. I LOVED this game! Rated 5 out of 5 by mamajean60 from free fun match game This game is so addictive it has kept me entertained for over a year graphics are beautiful.I hope there's a two in the works.Love it! 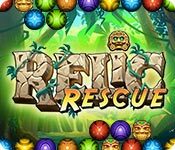 Rated 5 out of 5 by sherrylindner from Relic Rescue It was really fun and would recommend it. I. Would like to see more games like this. 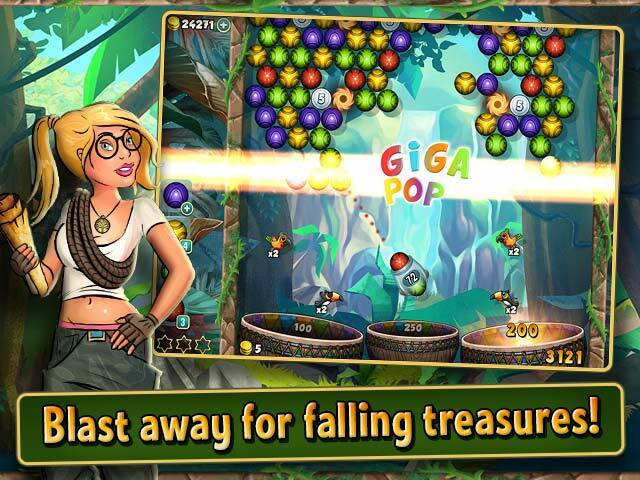 Rated 5 out of 5 by sheen4him from Fun Bubble popper game I enjoyed this game very much. 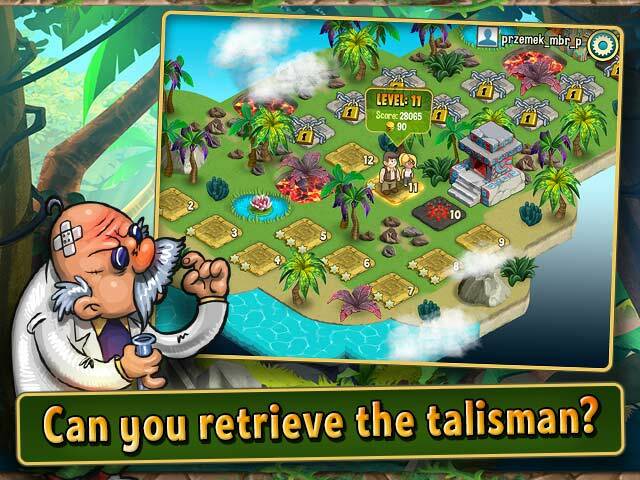 It was increasingly challenging and added new features as you continue through the game. I don't pay much attention to music or story, so I put neutral on them. Try it for free then buy it because you'll love it. Rated 5 out of 5 by paulrm3333 from one of the best games and free too !!!! excellent game very addictive and challenging more please nothing not to like, only wish the developer would design more games like this even paid for, not enough of this type of game with a real levels of difficulty I've played this games ~6 times, can't get enough!! Rated 5 out of 5 by eugene1980 from Awesome game Great gameplay! Nice graphics and sound effects. My wife and kids very like it. Rated 5 out of 5 by southtx from liked playing the game...not enough levels Good game , would be nice if there were more levels.